The UCLA Asian American Studies Center and the Institute on Inequality and Democracy at UCLA Luskin are pleased to announce that Yvonne Yen Liu and Manuel Criollo have been named the 2018 Activist-in-Residence Fellows. Ms. Liu was selected as the UCLA Asian American Studies Center Fellow and Mr. Criollo as the Irvine Fellow on Urban Life. They will both be in residence on the UCLA campus starting in Winter Quarter, January 8, 2018. The Activist-in-Residence Program was developed by the two research centers to recognize the work of individuals working on community-led social change and to build stronger links between UCLA and the community. Fellows are encouraged to pursue research or reflect on their community work to advance racial, social and economic equity, as well as contribute to creating new models of public scholarship and engagement for UCLA students to develop or strengthen their own commitment to social justice. The Asian American Studies Center (AASC) Activist Fellow, Yvonne Yen Liu is the co-founder and research director of the Solidarity Research Center, a worker self-directed nonprofit that advances solidarity economies. Over the last decade, she has authored participatory research projects on alternative economic practices in partnership with low-wage service worker, migrant farmworker, incarcerated worker, and indigenous communities. Her research has led to the $15 minimum wage increase in Los Angeles, a $5.9 billion boost for over 720,000 low wage workers. Her work also contributed towards the decriminalization of street vending, a $504 million industry plied by 50,000 microbusinesses on the streets of Los Angeles. She serves on the board of the United States Solidarity Economy Network and co-convened a cohort of Asian American community-based organizations who are building worker cooperatives to increase community wealth and to empower their members. The AASC Activist Fellow is made possible through the Yuji Ichioka and Emma Gee Endowment in Social Justice and Immigration Studies. 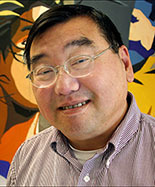 The endowment was established in honor of the late UCLA scholar Yuji Ichioka and his wife activist-scholar Emma Gee and supports engaging leading activist scholars who are pursing research that provides new analysis of the significant historic and contemporary role of race, ethnicity, class, and gender in American life. 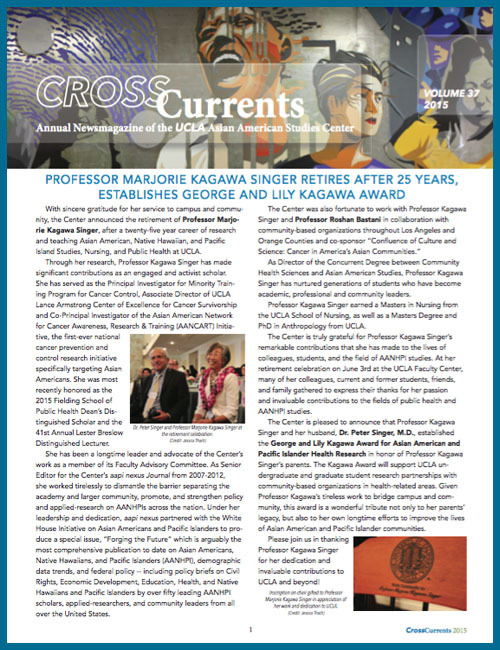 "We were impressed by Yvonne's long history of activism, conducting community-based research and creating tools and resources that encourage the adoption of worker cooperatives as an asset-based and community wealth building strategy for Asian American communities," said AASC Acting Director David K. Yoo. "We look forward to having Yvonne as part of the Center and campus community." "This fellowship will provide me with the opportunity to deepen a participatory research project aimed at lifting up the history and contemporary practice of solidarity economies by Asian American grassroots communities," said Liu. As part of her fellowship, Liu will explore the history of solidarity economies in the Asian American immigrant and refugee experience, to find lessons from past economies, based on mutual aid and cooperation, to guide future community economic development and forge collective economic agency. Manuel Criollo, an activist and community organizer with over 20 years of experience in Los Angeles County, has been on the community frontlines building and leading the Bus Riders Union at the Labor/Community Strategy Center. Over the past 10 years, Criollo has led campaigns to end punitive school discipline and criminalization policies and practices in Los Angeles public schools. Through member and leader education, Criollo has recruited hundreds of working class grassroots leaders. His organizing work has led to the 95% reduction of citations and tickets to students for minor offenses during the 2015-2016 academic school year. Criollo says, "I want to focus on consolidating, disseminating and expanding our understanding of the punishment, security and policing apparatuses in LA schools and school policing broadly." During his residency Criollo plans not only to research and document the formation of the Los Angeles School Police Department, but also to create a timeline of community struggles against school policing, and organize an organizers exchange on UCLA's campus. The Irvine Fellow on Urban Life is a residence program funded by the James Irvine Foundation established to bring to the Institute on Inequality and Democracy at UCLA Luskin scholar-activists who will undertake social movement research and pedagogy directly concerned with equity at the urban scale. "We are delighted to enter our second year of the Activist-in-Residence Program and especially to welcome Manuel Criollo to the Institute," states Ananya Roy, director of the Institute on Inequality and Democracy at UCLA Luskin. "Manuel has an extraordinary record of organizing in and for working-class communities of color. His current work on ending criminalization policies and practices in LA public schools speaks directly to our efforts to study and dismantle structures of mass incarceration. In many ways, Manuel epitomizes Los Angeles and its histories of organizing. We have a lot to learn from him." The Institute on Inequality and Democracy at UCLA Luskin advances radical democracy in an unequal world through research, critical thought, and alliances with social movements and racial justice activism. The work of the Institute analyzes and transforms the divides and dispossessions of our times, in the university and in our cities, across global South and global North. Launched in February 2016, the Institute supports research developed in partnership with social movements and community-based organizing. 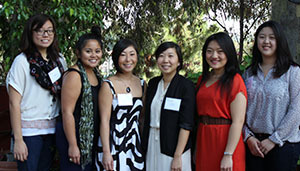 For nearly 50 years, the UCLA Asian American Studies Center has enriched and informed not only the UCLA community, but also an array of broader audiences and sectors in the state, the nation, and internationally about the long neglected history, rich cultural heritage, and present position of Asian Americans and Pacific Islanders in our society. For more information on the Activist-in-Residence Program, please contact UCLA Asian American Studies Center at melanyd@ucla.edu or the Institute on Inequality and Democracy at guihama@luskin.ucla.edu.